The Daniella skirt sewing pattern will teach you how to make a super easy and super cute skirt! It’s very, very full so it has twirlability for days! 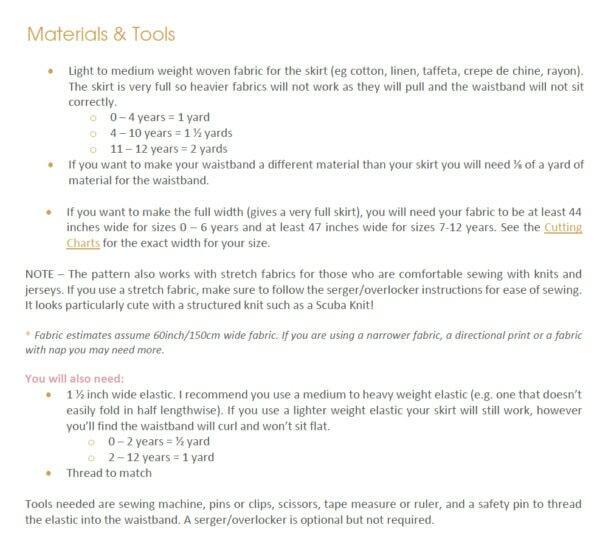 You can either print the pattern pieces, or use cutting charts. If you use the cutting charts, you can cut straight from the measurements (no printing). It includes a back-to-school suitable knee-length option. Plus a just-above-the-knee length option. So you’ll be able to make one to suit whatever the occasion! There’s also a less full option if you prefer. Note – This pattern used to be called the Easy Peasy Skirt pattern. We’ve updated and renamed it. Gallery – See images from Instagram below. Or view our full tester gallery on Facebook: Daniella Skirt. This is a fabulous skirt! 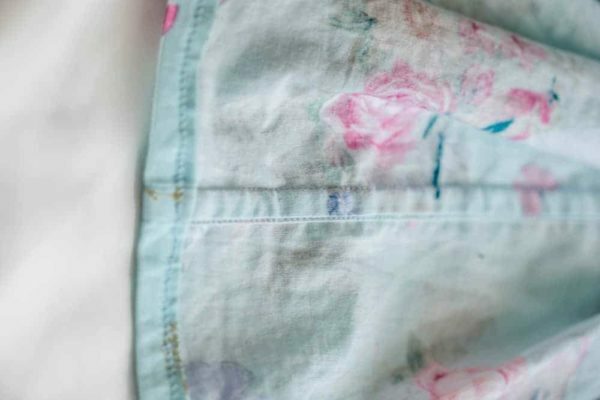 Amazingly fast to sew (even for a slow sewist like myself) with a beautiful finish, inside and out. The hidden edges!! So perfect and gave the finished product a nice polished look. It’s an awesome sew! A good quick sew and can easily be done by a beginner sewer. This is perfect for an everyday skirt or a nice holiday style skirt. It was really easy, but looks really nice. Great for beginners or those who want quick sew options. A nice intro in clothing. French seams are very pleasing and your instructions are clear. Go for it! It’s a perfect skirt that is fast, easy, and beautiful to construct! The skirt belt really stands out. Love it! It’s easy and fast and the results are just adorable!!! Great, quick pattern for an everyday versatile clothing item. There shouldn’t be any fraying like inside most homemade garments. Thank you for finding a way to enclose all the raw edges. And the twirl factor is nice as it doesn’t come up high enough to show underwear like a circle skirt does. It is truly an easy peasy pattern. The hardest part of all was ruffling the skirt. Absolutely purchase it, you would not be sorry. It is a simple and quick sew! With an enclosed seam! 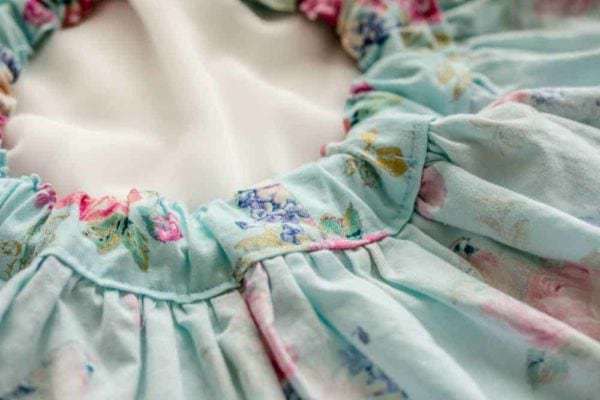 With the easy instructions and clear pictures, this is definitely a good make for any sewist from beginner to a master sewer and the finished garment is worth every stich. BUY IT! Super simple instructions that are easy to follow. Skirt is the perfect length for little girls. It has the feel of a circle skirt with out wasting fabric because the width for the skirt makes it twirly! A super easy sew, with fabulous results! If you want to learn to sew this pattern is where you should start since it’s so easy peasy. I liked the way the waistband & skirt come together. I haven’t done that technique before and it went very quickly. It comes together very quickly and the result is clean lines and great fit. 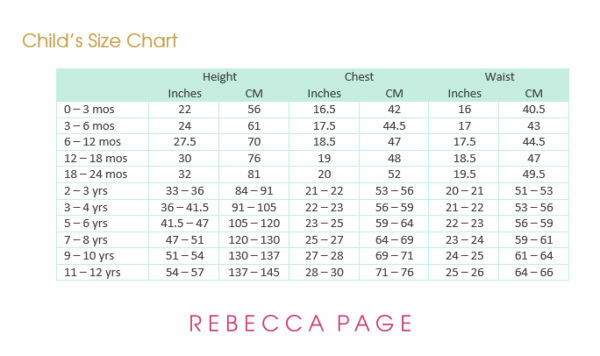 Also, you get a cutting chart so you don’t have to print & save paper!! It is a really good pattern. Super easy, and so cute. 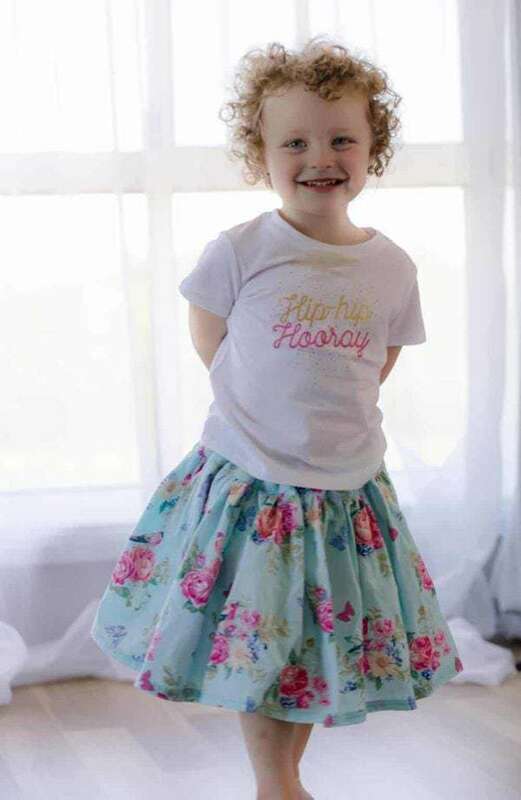 You can sew up a bunch of these cute skirts and headbands, and throw them with some t shirts, for super cute summer outfits. So easy. Fast to cut and sew. Made me realize I can do more sewing than I thought when the patterns are done right. I did the two lines for gathering (which I rarely do) and realized the gathers look much nicer when you do it that way. 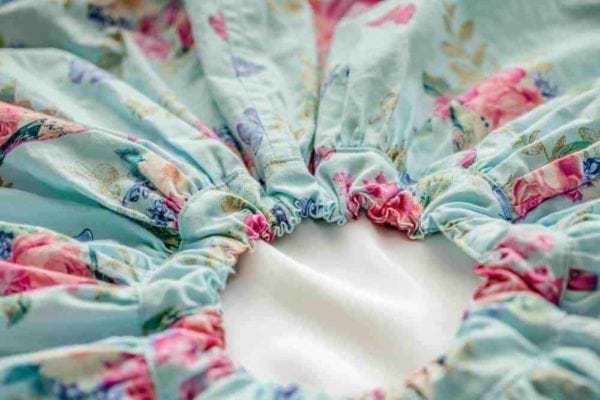 (This is) perfect for anyone – great for a beginner sewist. 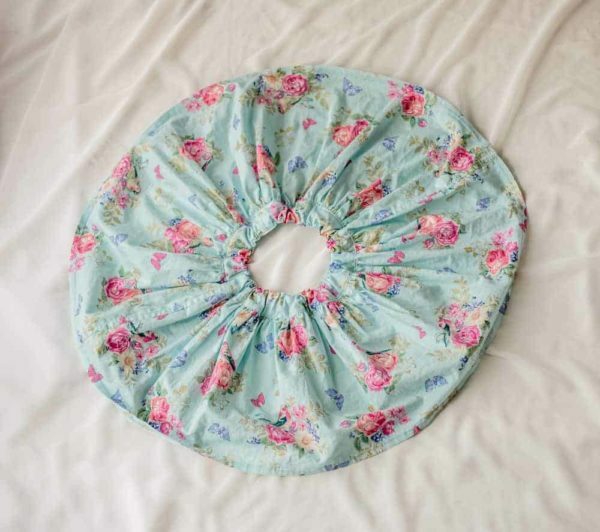 (Also a) perfect skirt for girls who like to spin/twirl. Love the quickness that it comes together. Means I can make lots of skirts in little time. Easy and quick skirt to make, I will be definitely using the pattern again. If you’re after something quick and easy this is it. This is an easy sew with a professional looking finish! This skirt was SUPER easy. I was able to cut and sew it in less than thirty minutes. It’s so flowy and twirly. I like that it has French seamed pockets AND the side seams are also French seamed. I foresee this skirt being a staple in my daughter’s wardrobe. 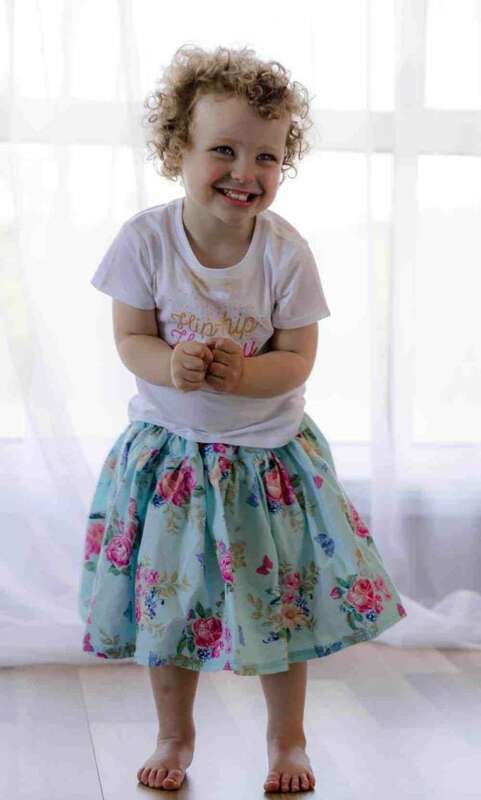 I made the Easy Peasy skirt for my daughter and it was just that! Easy Peasy! It’s super cute, very full and looks great in Summer or layered in Winter. This is a seriously fast sew with literally a hem, side seams and waistband. I love that the waistband elastic is 1.5″ also. Helps keep it up on those toddler tummies and is super comfortable. A quick sew with amazing twirly results. Simple design that lets your fabric choices bring out the greatness in this skirt. 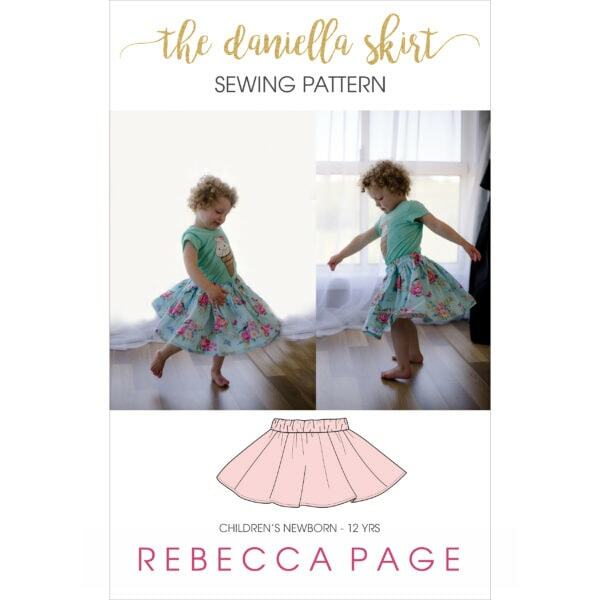 The Daniella skirt is the perfect project for any beginner! 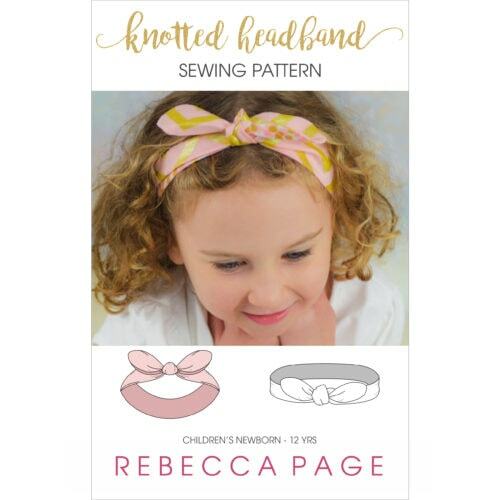 Straight forward and beautifully illustrated instructions make this sew quick, and easy. It was the first pattern my 8 year old worked with (under supervision) and she created a beautiful piece that she LOVES! Well drafted pattern with a detailed instruction on the skirt construction. I love the clean finish on the seam and waistband. This skirt was so fast to sew up! I love how easy and quick it was to make. This skirt is a very quick sew! A great pattern for beginner and advanced sewists alike. While the pattern is simple, the end product is beautiful. Every seam is finished beautifully and your recipient will want to twirl for hours on end! 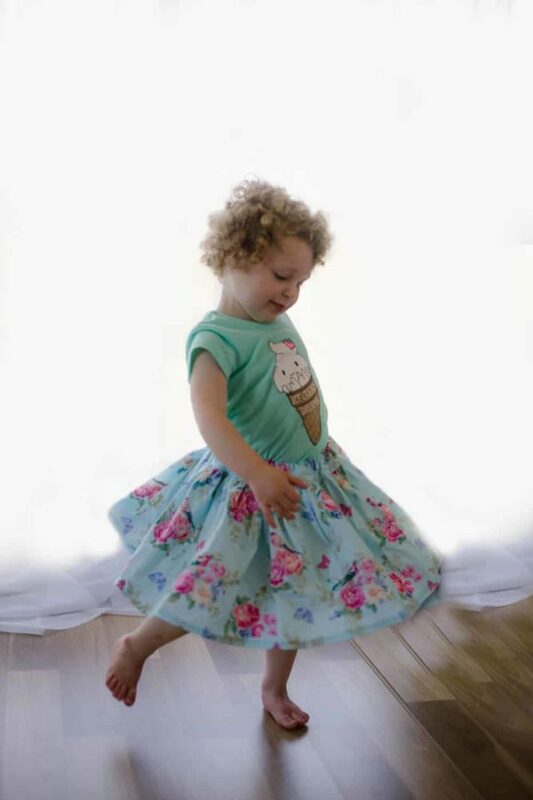 Daniella is a super quick twirly gathered skirt perfect for beginners or anyone with a little girl to dress. It is a wardrobe basic that allows you to show off gorgeous fabrics without needing a lot of fuss. 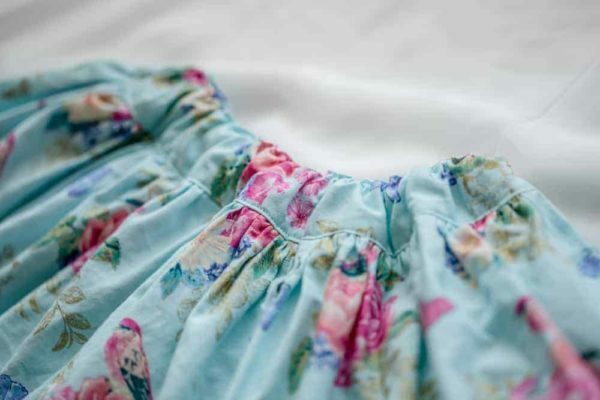 This is a lovely and relatively easy sew. I’m so glad I did! 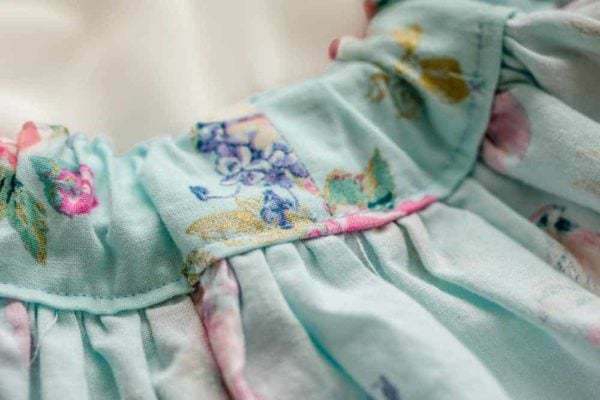 The skirt on my little girl has a perfect “poofiness” and twirlability using simple quilting cotton. I finished with a rolled hem in a contrasting color for added decoration. There will be many more of these in my little girl’s closet soon! This is a simple and fast skirt to sew up. 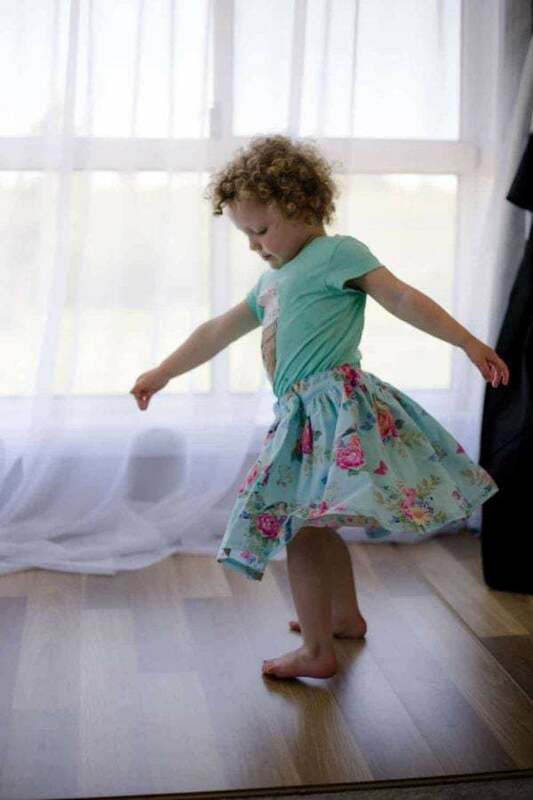 It produces a great twirl factor all the little girls will love. There are great pictorials and sewing instructions to guide you through the process from start to finish. Highly recommend for a simple skirt with lots of impact. Best.Skirt.Ever. I cut & sewed this in an afternoon! I’m super happy with the result and it looks super cute on! I think this is a lovely basic for your wardrobe with some nice finishing touches. I appreciated the high waistband and pockets options. It is a beautiful skirt when done with a fabric with nice drape! 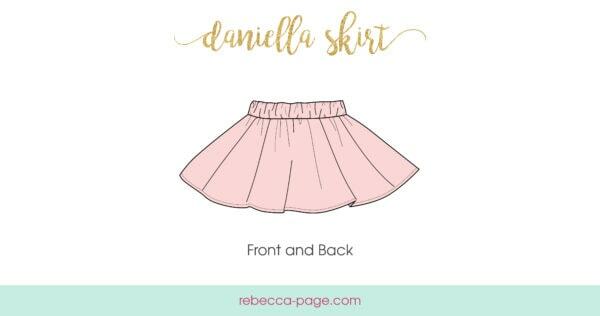 Tag your photos with #rpdaniellaskirt on Instagram.